Sometimes we do not get the opportunity to be the captain of the strategic planning ship, and yet the results of the plan affect our daily work tremendously. We know that even the best plans often fail in implementation, so how can be sure our voices are heard before the plans are set in stone? With the right mindset, anyone on the team can help chart a new course for success and share our firsthand knowledge of our programs, services and key stakeholders to make sure planning activities bring out the best in our work. Come ready to have a conversation about your successes in promoting change from whatever seat you may have at the strategic planning table. Kristin Leutz has spent her career building philanthropic resources and organizational capacity in a variety of roles, raising nearly $100 million. She is the COO of Valley Venture Mentors, a startup accelerator in Western MA. Kristin has advised hundreds of impact-driven organizations on how to build their operational and financial strength, with a focus on how to use data, storytelling, and technology. Kristin specializes in building and strengthening philanthropic communities. She spent adecade as the Vice President for Philanthropic Services at the Community Foundation of Western Massachusetts, where she led donor services, fundraising, and communications. She worked internationally as Director of Development for RefugePoint, an NGO working to help at-risk refugees by improving humanitarian systems. She also consulted with the global philanthropic membership organization Women Moving Millions, helping catalyze unprecedented resources for women and girls. Kristin has worked in advancement at both Amherst and Smith Colleges. 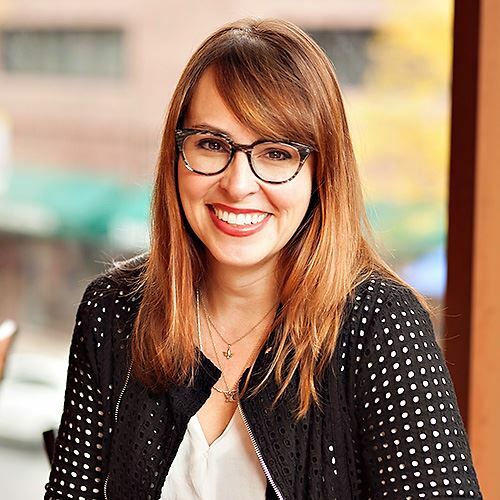 Though the bulk of her career has been in philanthropy, Kristin also has a background in Organizational Development and worked at MassMutual. She has her M.S. in Industrial/Organizational Psychology from Springfield College and has her B.A. from Colgate University. She lives in Amherst, MA with her husband, two children, and a menagerie of pets. She devotes her own volunteer time and talent to causes that create safer, stronger lives for women and girls.